"Professional joystick for accurate control of Axis pan/tilt/zoom and dome network cameras. Connects to the workstation over USB. Features a three-axis joystick with X/Y-axis for positioning and turning knob for zoom and 6 push-buttons. Includes a 2 meter USB cable for connection to the workstation. AXIS T8311Joystick is supported in ACS ver. 3.3 or later." 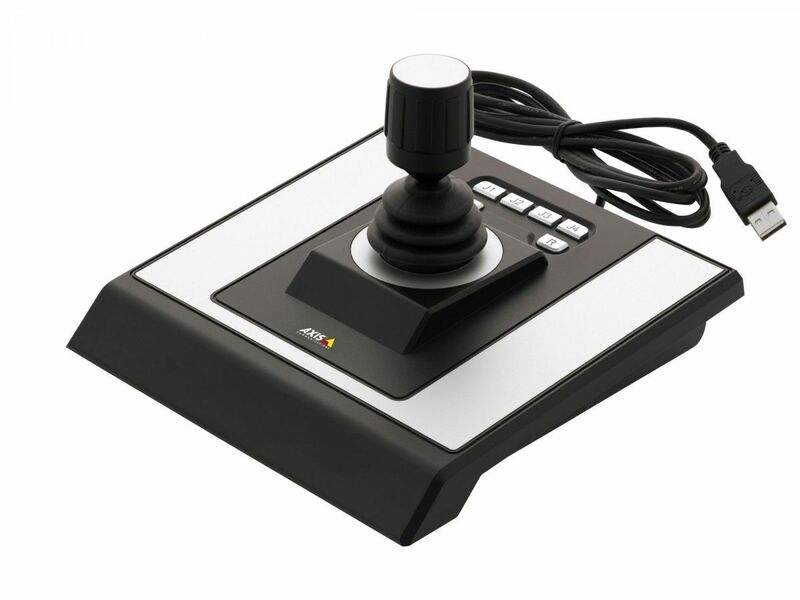 Professional joystick for accurate control of Axis pan/tilt/zoom and dome network cameras. Connects to the workstation over USB. Features a three-axis joystick with X/Y-axis for positioning and turning knob for zoom and 6 push-buttons. Includes a 2 meter USB cable for connection to the workstation. AXIS T8311Joystick is supported in ACS ver. 3.3 or later.